In San Antonio, in Ibiza island, we place at your disposal a small hotel, the special characteristics of which will for sure surprise you. It’s a family small hotel that has been recently refurbished and boasts a high standard of services and facilities, so as to guarantee a comfortable stay to guests. But Hostal Roig’s most outstanding feature is CLEANLINESS and a VERY SPECIAL and EXQUISITE ATTENTION TO THEIR GUESTS. In San Antonio, in Ibiza island, we place at your disposal a small hotel, the special characteristics of which will for sure surprise you. It’s a family small hotel that has been recently refurbished. Accommodation in Ibiza with low cost and young atmosphere, the rooms are simple but spacious, most with balcony. All rooms have fan and a shared bathroom every of our three rooms. 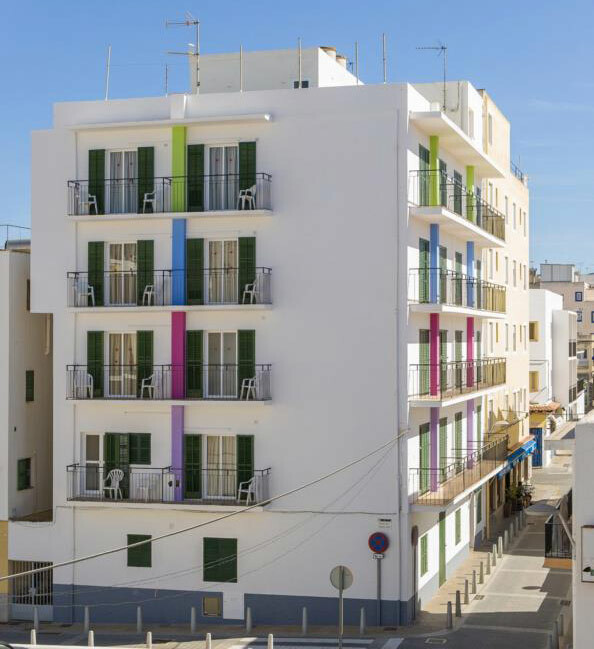 The hostal Marí in Ibiza reserves a hospitable welcome and friendly attention for all its guests, which has always been a noted characteristic of the Marí family, who have run the establishment.